The latest addition to the L.U.C Heritage collection pays tribute to not only the Chopard of the past but also to the present. To understand how, I’ll have to take you through a crash course in Chopard history (don’t worry, I’ll make it quick). Chopard were founded in 1860 by Louis-Ulysse Chopard, who specialised initially in highly accurate pocket watches. Some of these early chronometers even made their way as far as the court of Russian Tsar Nicholas II. Skipping forward a century, in 1963 the company was purchased by the Scheufele family, who still own it to this day, with brother-sister combo Karl-Friedrich and Caroline Scheufele at the helm as co-presidents. 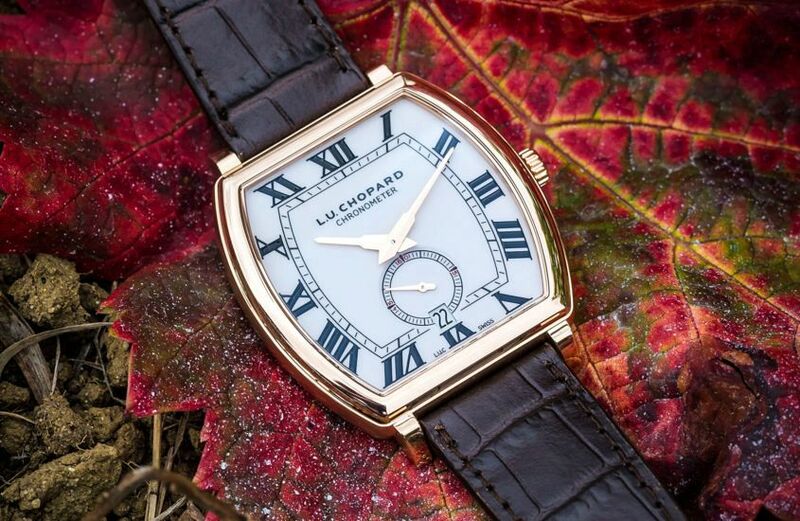 In 1996, through the efforts of Karl-Friedrich, Chopard created the L.U.C collection and released their very first in-house movement, the L.U.C 1.96. Which brings us back to today and the reason we’re here, the L.U.C Heritage Grand Cru. 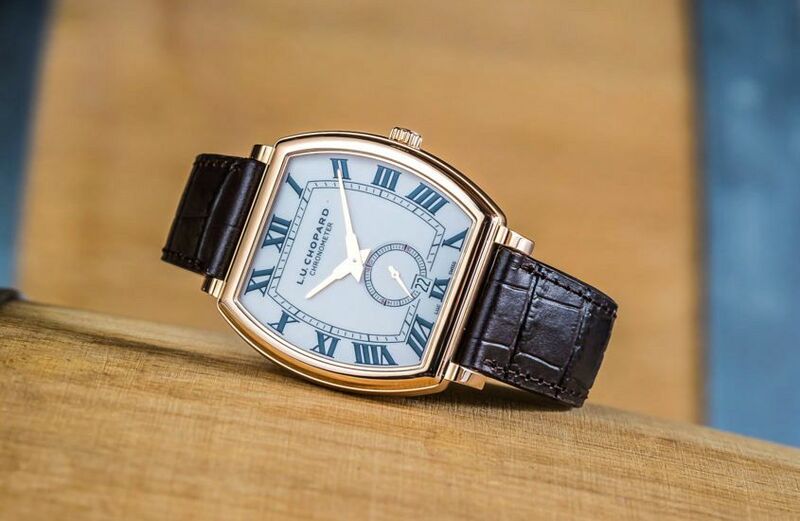 The first thing you’ll notice is the tonneau-shaped, 18k rose gold case. It’s slim at only 7.74mm thick and measuring 38.5 x 38.8 mm across, and its rounded rectangular (only just) shape is reminiscent of the oak barrels used to store wine. 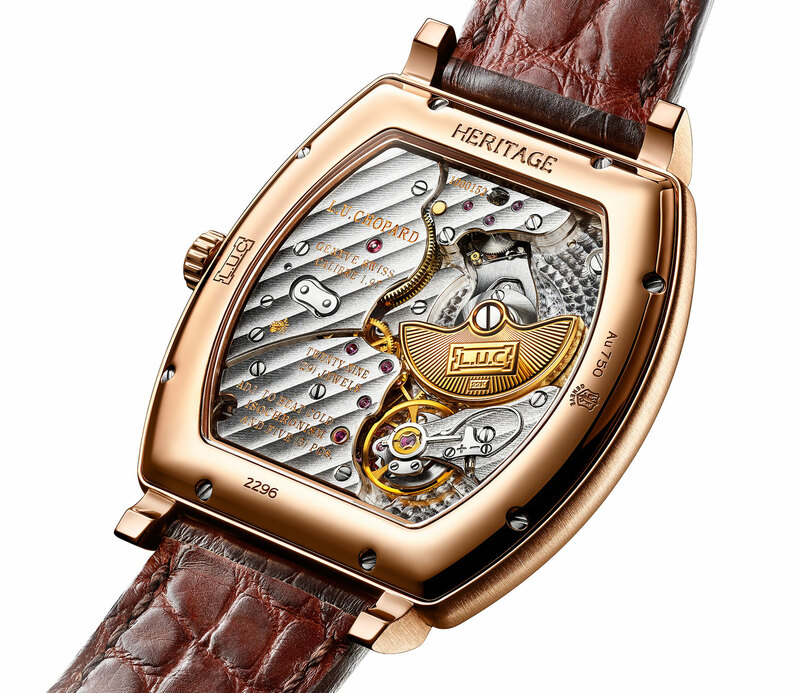 While this isn’t a new shape in watches – nor even for Chopard – it does hold a special meaning for the company. 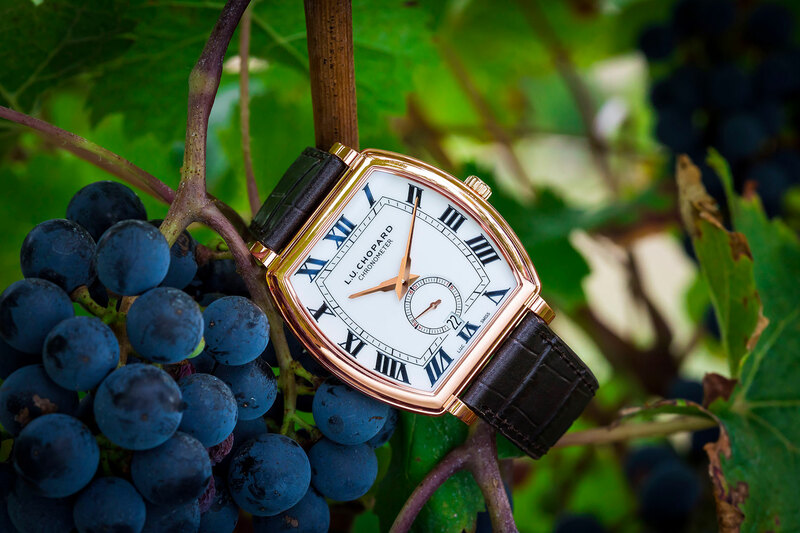 You see, as well as his love of high horology, Karl-Friedrich Scheufele also has a passion for making fine wine, and even owns a vineyard just outside of Bordeaux. This is what inspired the Grand Cru name, as it’s also a classification designated to a wine or vineyard of superior grade. The moniker holds another meaning as well. Inside the case sits the superbly finished in-house L.U.C 97.01-L movement which bears one of the highest certifications in watchmaking, the Geneva Seal. 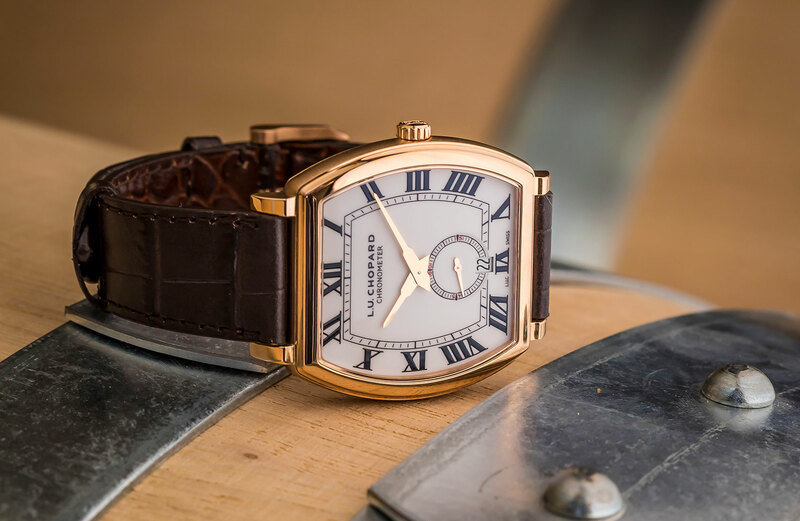 It’s also COSC-certified, and is given life by an engraved 22k gold micro-rotor that uses Chopard’s patented Twin Technology to drive two stacked barrels and serve up a hefty power reserve of 65 hours. Measuring only 3.3mm thick, the movement is slender, and visible through the sapphire crystal display back. It rather conspicuously takes the same barrel-shaped form as the case, fitting like a cork in a wine bottle. However, it’s not all about wine tie-ins. The dial is inspired by the pocket chronometers from the early days of Chopard. Its white porcelain-type finish features thick black Roman numeral transfers, giving it an air of antique appeal. While the dial is mostly pared-down, at 6 o’clock there’s a little extra spark. The small-seconds sub-dial has subtle highlights of red at the 15, 45, and 60-second marks, and a cut-out for the date at 30. Set against the dial are Chopard’s own Dauphine-type fusée hands, a boldly elegant style that you’ll find through most of the L.U.C collection. 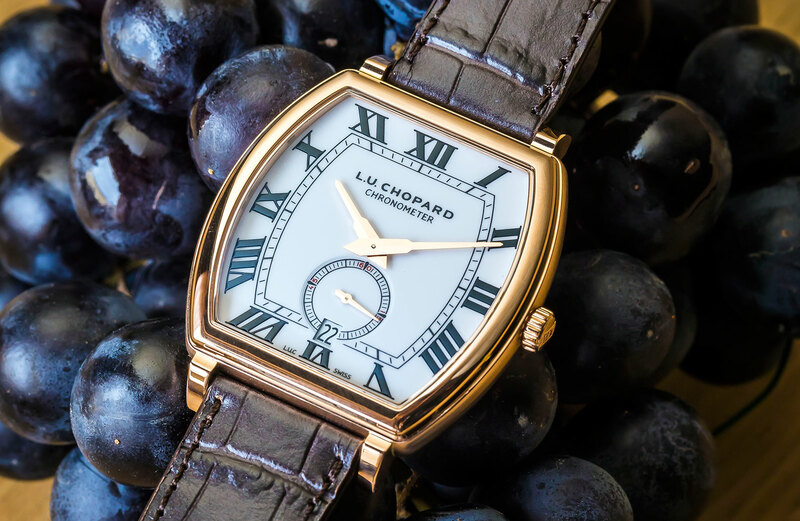 From one of the quite achievers of the watch world, the Chopard L.U.C Heritage Grand Cru, with its slim tonneau-shaped case and thin automatic movement that offers something different – as sensitive and full-bodied as a fine wine.